According to Gartner, a staggering 600 to 1000 SaaS apps are in use at a typical company, yet IT only knows about & manages ~7%. The unmanaged ~93% pose very real security and compliance challenges including unauthorized access, data leakage, and violation of industry regulations. 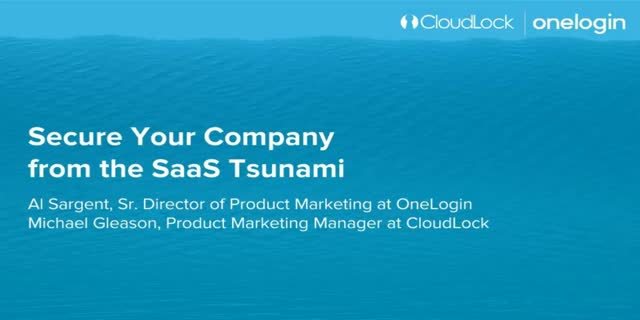 Gartner calls this the "SaaS Tsunami". It grows daily as employees sign up for new SaaS apps using corporate credentials -- all it takes is a browser, a credit card, and an expense report - two clicks and they’re in. Join us for an interactive webinar on how to bring unmanaged SaaS apps out of the shadows to reduce security and compliance risks.